Leonardo da Vinci tells the story of this artist/engineer's life and times, and looks at the major themes that dominate his work. Beautifully illustrated with his artworks and designs, it also contains rare sketches and studies sourced from his own writings, as well as documents from archives such as the library of the Institut de France, including the record of Leonardo's birth made by his grandfather in 1452. 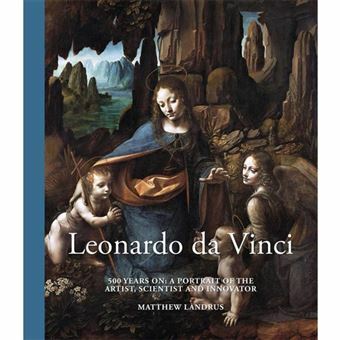 Matthew Landrus's insightful narrative explains how da Vinci was more than a painter of extraordinary skill. In fact, he was often thought of principally as a civil and military engineer. This compelling biography paints a vivid portrait of the most gifted of men, 500 years after his death.